If you are searching for experienced and trusted Macomb County Tile and Grout Cleaners, please contact Duo-Care Cleaning and Restoration at (586) 263-9930 to setup an appointment. Click here to learn more about why we are the best Macomb County Tile and Grout Cleaners! Follow Us on Facebook to stay updated with current information and special deals. What Causes Perpetually Dirty Tiles? A little water and vinegar can help you clean and maintain your tiles once a week. However, for some people, their tiles look dirty again the next day. One such cause could be a thin, nearly invisible grout layer over the tile. Though you can wash the dirt off the tiles, it appears easily again once they have dried. Dirty tiles can also occur due to soap scum, which may form if you fail to rinse off the tiles completely after washing them with detergent. It takes more than soap and vinegar to remove deep, penetrating dirt. However, using harsh chemicals or abrasive tools may damage and loosen the grout, causing even more problems later on. A professional cleaner will always take great care and prevent any damage when cleaning your tiles. Professional cleaners also have the right tools to clean and sanitize your kitchen and bathroom tiles. With a professional doing the work, you don’t have to worry about buying or renting expensive steamers or vacuum systems. A professional can come into your home and take care of everything without any work on your part. Professionals can find out the primary cause of your dirty tiles and use the appropriate tools to remove deep-down grime or invasive mold. They can remove the invisible grout layer on the tiles and eliminate the need for continual washing and scrubbing every other day. What works for the granite tiles in your kitchen may not work on the ceramic tiles in your bathroom. Using the wrong cleaner will stain and permanently damage your tiles and cost you more money in the end. Professional cleaners know which products to use and how to apply them for the best results. A professional cleaning makes your tiles look as good as new and also increases their longevity. You will only need to clean them once every two weeks with a mild detergent and warm water to remove surface dirt and grime. If you are in need of trusted Macomb County Tile and Grout Cleaners, please call Duo-Care Cleaning and Restoration at (586) 263-9930 to schedule a cleaning! 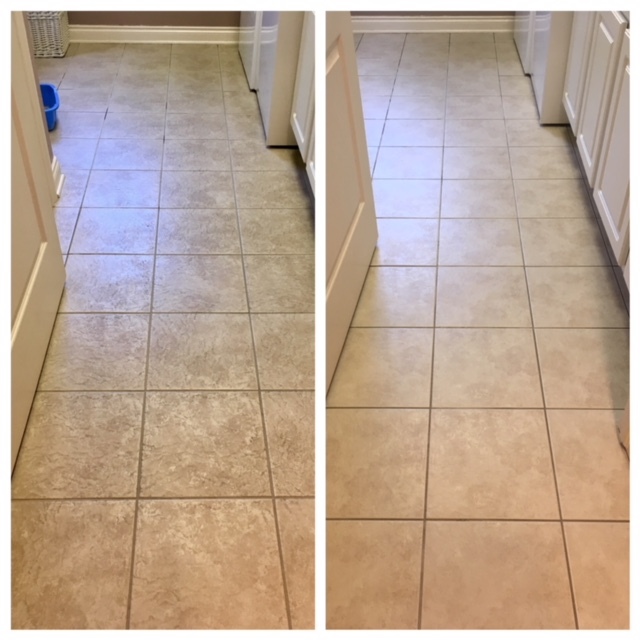 This entry was posted in Macomb County Tile and Grout Cleaners and tagged Macomb County Tile and Grout Cleaners, Tile and Grout Cleaners Macomb MI, Tile and Grout Cleaning Macomb County on July 12, 2018 by Duo-Care.